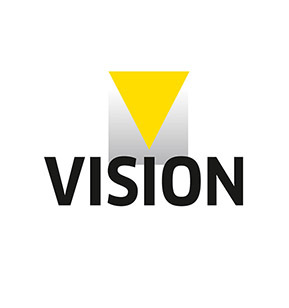 A marketplace for component manufacturers, and a platform for system suppliers and integrators, VISION is where OEMs, mechanical engineering companies and system houses learn about the latest innovations from the world of machine vision components, and where they initiate their investments. In total, there were 440 exhibitors from 31 countries and 10,000 visitors from 56 countries—including Integrys engineering manager Eric Buckley. Deep learning is part of broader family of machine learning methods based on learning data representations, as opposed to task-specific algorithms. And two Integrys suppliers, Connect Tech and Matrox Imaging made their presence felt in this realm at VISION 2018. At the Connect Tech/Samtec booth there was action aplenty as visitors caught up with Connect Tech’s show-stopping embedded NVIDIA Jetson solutions for machine vision and deep learning. Connect Tech is NVIDIA’s largest Jetson ecosystem partner and a leading provider of Jetson carrier products. It also does custom carrier designs. Meanwhile, at the Matrox booth, the focus was on the newest version of Matrox Design Assistant flowchart-based software, including new tools for image classification using deep learning and image registration using photometric stereo. These tools enable inspection and OCR of hard-to-see text. Matrox also did a fascinating deep learning demo in which dental floss near the cutter of the container was inspected to determine whether or not its appearance is appropriate. There are a host of 3D sensor applications, some of which are industrial, such as pick and place, palletizing/de-palletizing, and warehouse robots, and others of which are more consumer oriented, such as drones, people counting or patient monitoring. Of note at the event was Photoneo’s MotionCam-3D, for which Photoneo won the VISION Award 2018 at the Exhibitors’ Night. It’s the company’s flagship based on Photoneo’s own patented technology called Parallel Structured Light, implemented by a custom CMOS image sensor. MotionCam-3D is the best close and mid-range 3D camera to date for sensing in rapid motion. At the fair, Integrys supplier Hikvision, the world’s leading manufacturer of robust, high-quality video surveillance products, introduced a new member of their 3D laser scan camera product family, while Zivid Labs, a market-leading provider of 3D machine vision cameras and software for next generation robotics and industrial automation systems, demonstrated why its Zivid One and Zivid One Plus products are regarded as the world’s most accurate real-time 3D cameras. Polarization imaging can be used to detect stress or defects in manufacturing of materials such as plastic, glass and carbon fiber, as it can be used to uncover hidden material properties to better perform inspection and classification in industrial applications. Integrys supplier Imperx develops and manufactures advanced, rugged imaging products qualified to MIL-STD 810-G for shock and vibration. Among them is their renowned Cheetah line of cameras, and at the fair Imperx illustrated the polarization features of its 5MP Cheetah camera, which helps eliminate glare from reflective surfaces and can help visualize internal tension/stress within transparent materials. Featuring advanced Sony Pregius IMX250 sensors with global shutter technology, the camera has excellent sensitivity and exceptional dynamic range with fast frame rates in a small form factor, making it ideal for a wide variety of uses in the world of machine vision. JAI, another Integrys supplier, launched a new polarization area scan camera in the Go Series. The new model (GO-5100MP-USB) is built around Sony’s IMX250MZR CMOS image sensor. With 5.1-megapixel resolution and an innovative 4-way polarized filter design it is ideal for inspecting plastics, glass, and other shiny materials in industrial vision applications. JAI has a mono only USB3 interface of up to 74fps that supports multiple data output modes. At VISION 2018 Baumer introduced polarization camera models to its CX series with GigE and USB 3.0 interface options. The cameras are based on the 5 MPixel IMX250MZR global shutter sensor from Sony, which has a polarization layer consisting of four polarization filters (0°, 90°, 45°, 135°) at the pixel level. Through an integrated evaluation algorithm and the Baumer GAPI SDK, it is possible to only output polarization information. Output formats, however, are not restricted to polarization angles.